frozen whole chicken Specifications Of Processed Chicken paws : frozen chicken feet chicken paws fresh and good quality in my companey Size: Above 800 to 850 grams per pc Yellow Skin: Off Broken Bones & Black Spots: 0 to 1 % Ammonia burn: Nil Bad Smell: Nil Packing: 5Kg LDPE poly bags in 20Kg Strong Cartoon box with 4 straps outside. Storage: Freeze in -40 degree Celsius,Stored & Shipped in -18 Degree C. Supply Ability: 50MT per week Delivery: Within 7 to 15 days Payment terms: T/T or 100% L/C at sight. 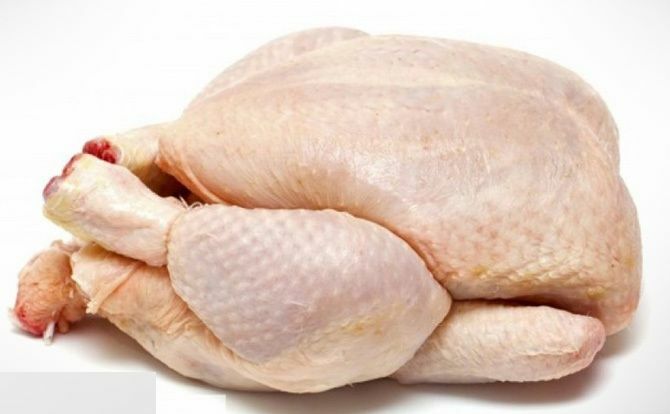 1) Whole Chicken Average Weight: 800-2200 grams Packaging: 10 Kg Carton PayLoad: 27 MT/ 40' container No. of Packages: 2700 / 40' container (MOQ) 2)Frozen Chicken Paw Average Weight: 40-50 grams Packaging: 15 Kg Carton PayLoad: 27 MT/ 40' container 3) Frozen Chicken Feet Average Weight: 35-55 grams Packaging: 20 Kg Carton PayLoad: 27 MT/ 40' container 4) Frozen Chicken Wing Average Weight: 80-130 grams Packaging: 20 Kg Carton PayLoad: 27 MT/ 40' container 5) Frozen Chicken Wing Tips Average Weight: 30-50 grams Packaging: 20 Kg Carton PayLoad: 27 MT/ 40' container 6)Frozen Chicken Mid Wing Average Weight: 80-130 grams Packaging: 15 Kg Carton PayLoad: 27 MT/ 40' container 7) Frozen bonless Chicken Breast Packaging: 15 Kg Carton PayLoad: 27 MT/ 40' container Other Cuts: Chicken Thigh Bonesless Chicken Leg Chicken Gizzard. Every Other Cut 4 Polly bags of 5kg each = 20kg per cartoon. We can also provide customized packing as required by buyer. $ 50 / per 1 kg.